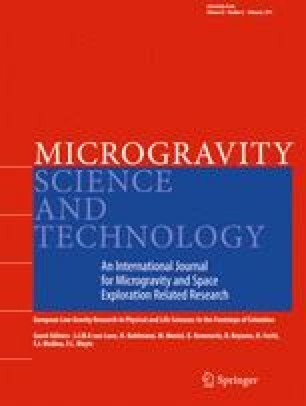 The behaviour of a vesicle suspension in a simple shear flow between plates (Couette flow) was investigated experimentally in parabolic flight and sounding rocket experiments by Digital Holographic Microscopy. The lift force which pushes deformable vesicles away from walls was quantitatively investigated and is found to be rather well described by a theoretical model by Olla (J Phys II (France) 7:1533, 1997). At longer shearing times, vesicles reach a steady distribution about the center plane of the shear flow chamber, through a balance between the lift force and shear induced diffusion due to hydrodynamic interactions between vesicles. This steady distribution was investigated in the BIOMICS experiment in the MASER 11 sounding rocket. The results allow an estimation of self-diffusion coefficients in vesicle suspensions and reveal possible segregation phenomena in polydisperse suspensions.